Hello friends ! 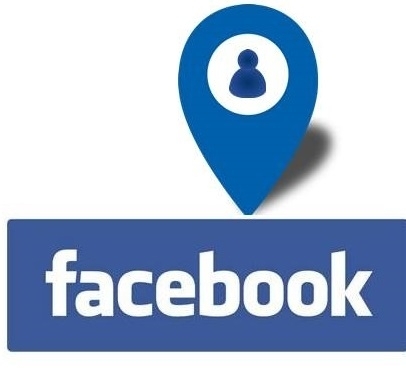 Today we are here with a cool trick for Tracing Location Of Any Person By Chatting on Facebook. Many times you land into a situation where you talk to an unknown person and want to find his/her location without asking them. We usually don’t need to track any person’s location but when we need it, it’s a quick need and we want to track a person’s location as soon as possible. Though there is no direct method to find IP of a Facebook user, because there is no direct communication between you and that user. Nowadays there are many reasons you might want to track location of a person. Sometimes, our friends or known people lie to meet us and make excuses. May be you want to track known person like your spouse,children, girlfriend or boyfriend or any of your friends/family. At that time we feel a need to track their exact location to know whether he/she is lying or not. This method has been used by lots of people successfully. This is somewhat tricky way but it’s quick and straight-forward. That’s why we are sharing it here. On Facebook you need to be a friend with the person who you want to track. After that you need to open any browser. Now start chatting with that person on Facebook. There is a thing that you need to be sure that you have only single browser and its single tab is open where you are chatting. You need to terminate those processes by using Task Manager what are running in your background apps are using internet connection for updates. If you are done then follow the bellow steps to trace the location. First of all, start chatting with your friend whose IP address you want to get and make sure that all other apps and background process must be stopped. After that you need to press Win+R of your keyboard to open Run Dialogue Box. Now Type cmd there and hit enter to open it. Now in the command prompt that appears type netstat -an and hit enter. The above step will list all the ip address which are currently being used. Now note down the IP address of a person cause it must contain the person’s IP too, whom you’re chatting with, on Facebook. Now you need to scan that IP address to know the actual location of the person. There is a address that will help you to generate the IP address and will tell you the exact location of that person and you can go to that site by simply click here. This is a really cool trick to check anyone location. Hope you like it.